William Rogers Applegate died on March 21, 2019, in Oak Harbor at 81 years of age. Bill Applegate was born in Cincinnati, Ohio, and raised in nearby Wyoming, Ohio, graduating from Wyoming High School in the Class of 1955. He graduated from Williams College in Williamstown, Mass. with a double major in political science and pre-med in 1959, and returned to Cincinnati to attend the University of Cincinnati College of Medicine. Upon his graduation in 1963, he served a medical internship at the University of Oregon Medical School Hospital in Portland. During this internship, Bill was drafted into the Navy. His first tour of duty was as general medical officer to a Marine Infantry Battalion in Vietnam. After being stationed at a military entrance processing station in Portland, he trained in orthopaedic surgery at Oakland Naval Hospital in California and in hand surgery at Grand Rapids, Mich., specializing in the care of amputees. While directing the Naval Prosthetic Rehabilitation Center in Oakland, Calif., he developed, and was granted a U.S. Patent for, a new type of artificial foot that is still in use around the world. In 1971, while at Oakland Naval Hospital, he also met Yseldah Hall, a Navy nurse on the amputee ward. They were married at the Oakland Naval Hospital in June 1973. They completed tours of duty at the Naval Hospital in Oakland, Key West and Jacksonville, Fla., San Diego and NAS Whidbey Island. In October 1989, Bill retired from the U.S. Navy and from the practice of medicine after 30 years of service. He lived on Whidbey Island for the remainder of his life. Bill utilized his political science degree through active involvement in Island County government, serving on the Island County Planning Commission, the Historic Preservation Advisory Committee, the Heritage Lands Task Force, the Conservation Futures Advisory Committee, and the Transportation Planning Advisory Committee. He was elected as an Island County freeholder and as a Democratic precinct committee officer. He also served as an advisor to the Northwest Air Pollution Authority and on the Board of the Whidbey-Camano Land Trust. Bill’s favorite activities were reading, birdwatching and amateur geology. He sang with joy in the Whidbey Community Chorus, and his boisterous laugh was known throughout the community. A citizen scientist, he was active in the Whidbey Audubon Society, was a docent for the Nature Conservancy guiding tours on Ebey’s Bluff, and worked with the Falcon Research Group. A lifelong learner, he also took courses in mathematics, history, art, weather and natural sciences at the local Skagit Valley Community College. Bill leaves his wife Yseldah and daughter Becki of Whidbey Island, as well as daughter Kyla of Mount Vernon. Both parents and one sister, Susan Ansell preceded him in death. His youngest sister, Sally York, lives in Anna Maria, Fla. The family wishes to give a special thanks to the many who served and loved Bill so well at Regency Memory Care. He requested that in lieu of flowers, donations be made in his name to the Whidbey-Camano Land Trust, 765 Wonn Road #C201, Greenbank, WA. 98235, or Friends of Ebey’s, P.O. Box 958, Coupeville, WA 98239, or hang up a bird feeder in his memory. 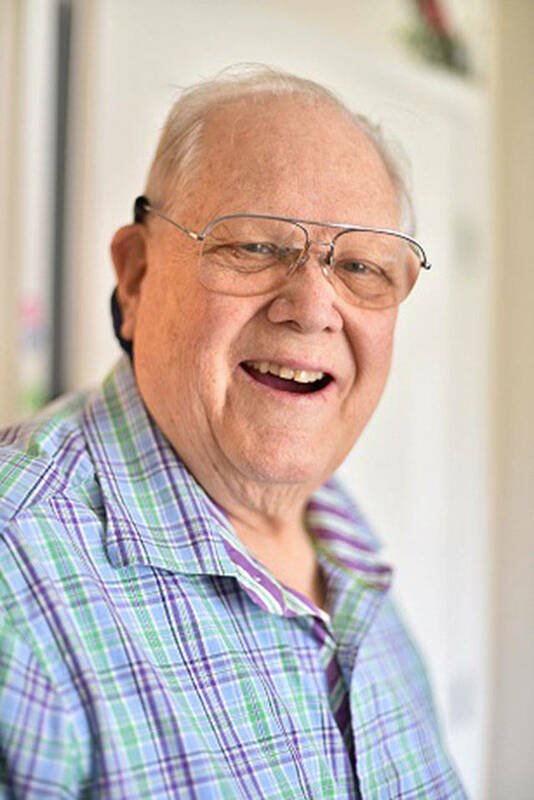 A Celebration of Life will be held in Bill’s name at Wallin Funeral Home in Oak Harbor on April 27, 2019 at 3 p.m.